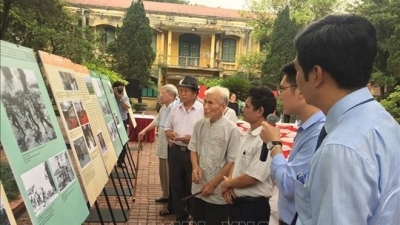 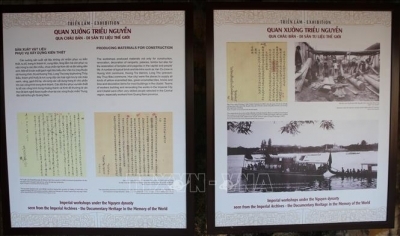 NDO/VNA – A series of activities marking the 44th anniversary of the Liberation Day (April 30) and the 133rd May Day (May 1) kicked off at the Centre for Thang Long Heritage Conversation in Hanoi on April 25. 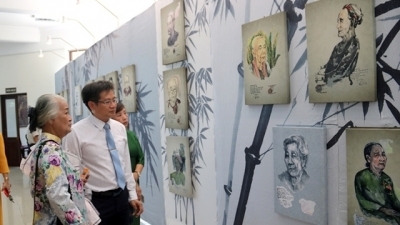 NDO - A photo exhibition opened in Ho Chi Minh City on April 25, showcasing the city’s 44 years of development and integration since it was liberated in 1975. 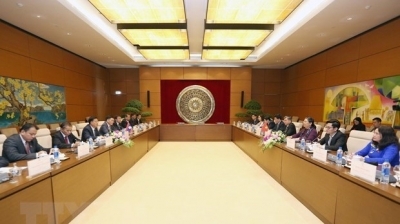 NDO – The 12th National Assembly (NA) Committee on Social Affairs held its 12th plenary session in Ho Chi Minh City on April 25, discussing multiple issues related to the health sector. 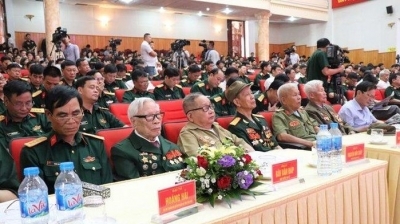 NDO – The central province of Quang Binh held a ceremony in Dong Hoi city on April 24 to receive the UNESCO certificate in recognition of Bai Choi singing, a popular style of folklore singing in the central and south-central regions of Vietnam, as an intangible heritage of humanity. 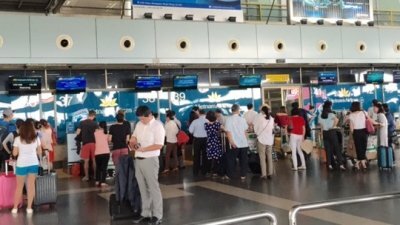 NDO/VNA – The Noi Bai International Airport (NIA) in Hanoi is expected to serve about 90,000 passengers on the peak day of the upcoming Liberation Day (April 30) and May Day (May 1) holiday, according to a representative of the NIA. 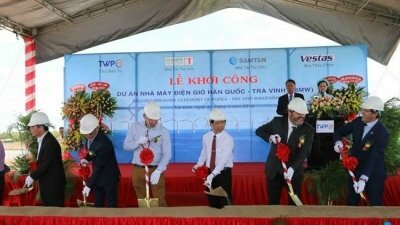 NDO/VNA – A ceremony was held in the Mekong Delta province of Tra Vinh on April 24 to launch the construction of the Korea-Tra Vinh wind power plant, a joint project of Tra Vinh Wind Power Limited Company No. 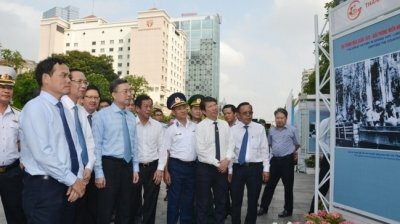 1 (TWPC) and its partners from the Republic of Korea (RoK). 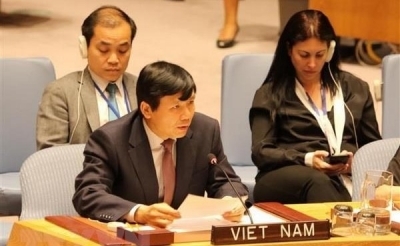 NDO/VNA – Vietnam will work closely with the international community in preventing and stamping out sexual violence during conflicts, said Ambassador Dang Dinh Quy, head of the Vietnamese mission to the United Nations (UN). 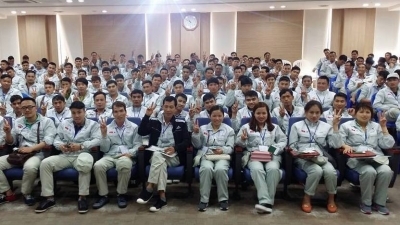 NDO – As many as 3,900 Vietnamese workers will be recruited to work in the Republic of Korea (RoK) in 2019 according to the Employment Permit System (EPS) programme, the Ministry of Labour, Invalids and Social Affairs (MOLISA) has announced. 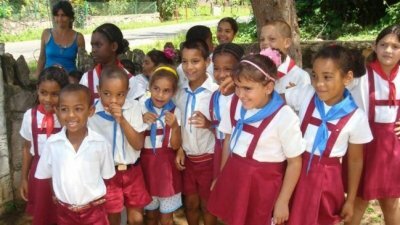 NDO – A Vietnam-Cuba friendship school was inaugurated in the eastern Cuban province of Santiago de Cuba on April 23, in the presence of Raul Castro Ruz, First Secretary of the Communist Party of Cuba Central Committee, alongside Miguel Diaz-Canel, President of the Council of State and Council of Ministers of Cuba, and many Cuban government officials. 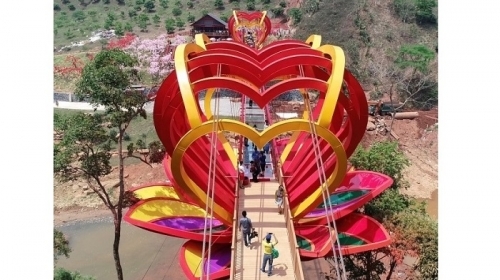 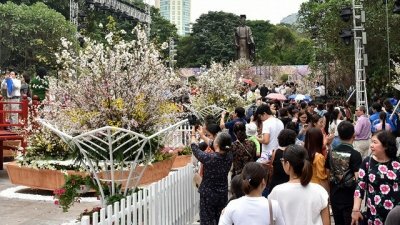 NDO – The Japanese Cherry Blossom Festival in Hanoi has been recognised as the Vietnam Record for the unique festival with most human and community-based values, events and activities. 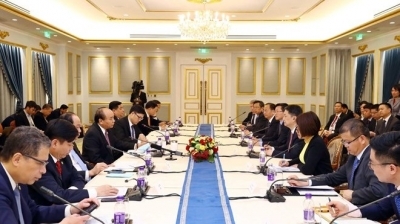 NDO - The Provincial Competitiveness Index (PCI) 2018 report shows that Vietnam’s business climate has seen significant improvement compared with the previous year, especially in criteria such as informal costs, administrative procedures and infrastructure. 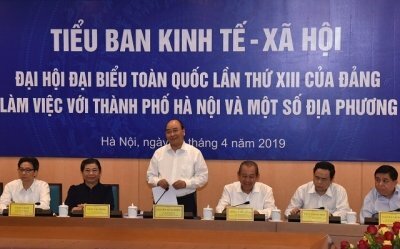 NDO – The Ministry of Health (MoH) and Amway Vietnam on April 23 signed a cooperation agreement on the continuous implementation of a project aimed at improving nutrition for children under five in Vietnam during 2019-2020. 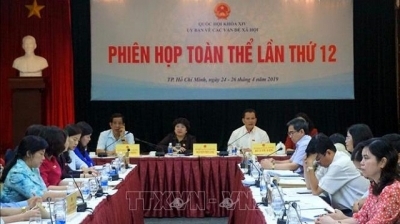 NDO/VNA – Prime Minister Nguyen Xuan Phuc chaired a working session of the 13th National Party Congress’s sub-committee on socio-economic affairs in Hanoi on April 23 with the participation of leaders of Hanoi and 12 other localities. 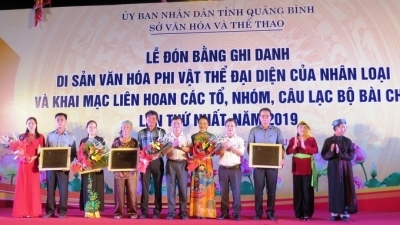 NDO - Vietnamese athlete Quach Thi Lan secured a gold medal in the women’s 400m hurdles at the 2019 Asian Athletics Championships in Qatar on the evening of April 22 (local time).